The problem of discovering information regarding food recalls, outbreaks and alerts is of significant importance for every member of the food supply chain. A wide variety of data sources from major global organisations (such as European Commission and United States Department of Agriculture) is publicly available, but most of the interested users don’t have the capacity, neither the time to go through and filter these information silos. 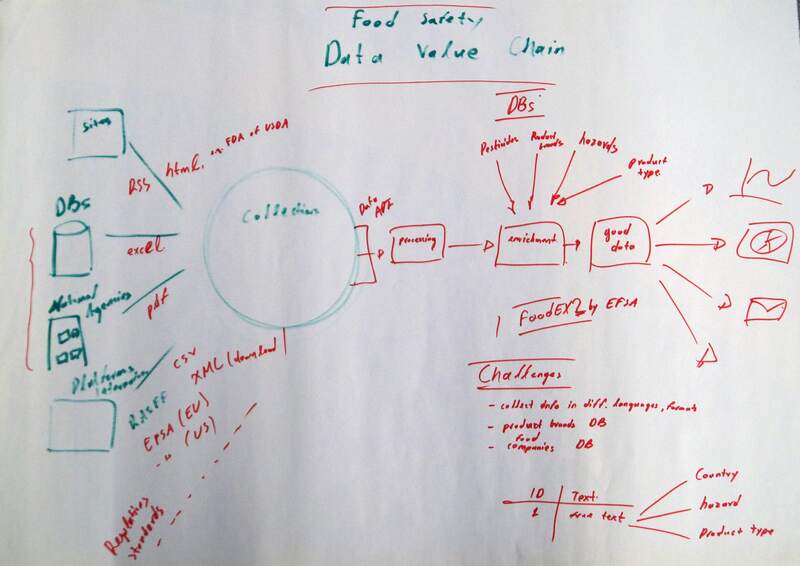 Addressing related data challenges will allow food safety scientists, retailers, wholesalers, distributors and producers to ensure a well-informed food supply chain, using in its full extent open and available information. The final outcome addressing this challenge could be a web or mobile application which enables specific target groups to access relevant information, a service which could improve the indexing and discoverability of publicly available data, an API which provides access to federated data silos.